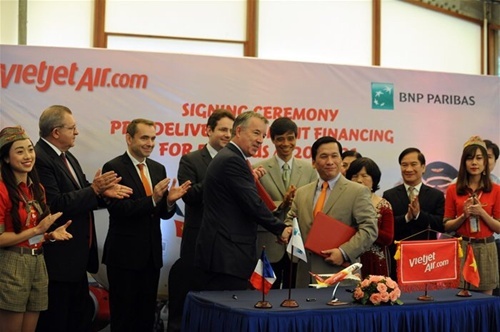 HA NOI (VNS) — Private carrier VietJet will receive US$60 million to purchase five Airbus aircraft, following a credit agreement inked with the France-based BNP Paribas Bank in the capital on Wednesday. 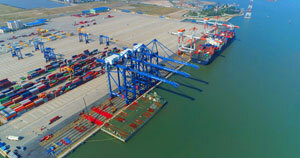 The two-year loan will help facilitate VietJet's purchase of Airbus planes under a $9.1-billion order placed in late 2013. As planned, VietJet will receive between five and 10 jets of the 100 ordered from Airbus. With a fleet of 23 planes, the airline is spreading its wings to 28 domestic and international routes.